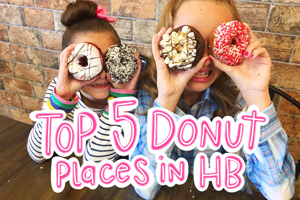 We had asked you all what your favorite donut places were and Sweet O Donuts came up many times. We couldn’t wait to try it out! 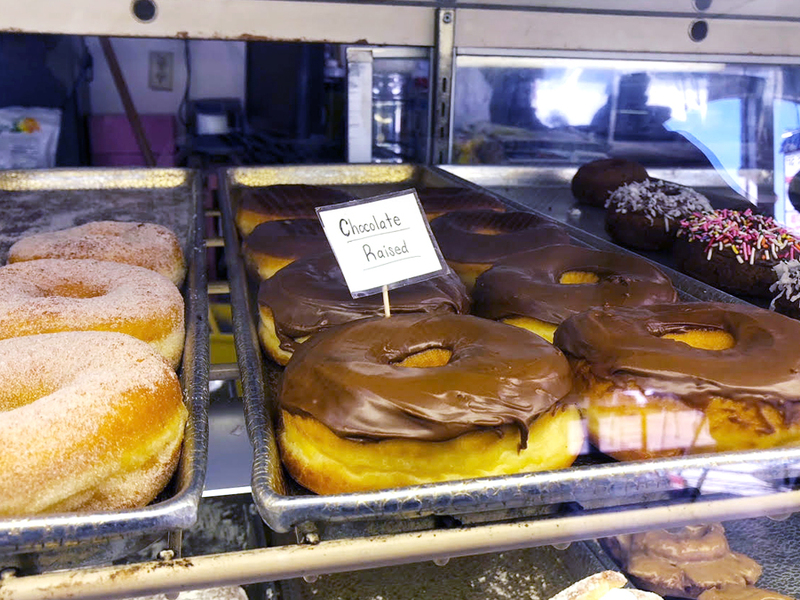 Out of many places that we went to indulge in, Sweet O Donuts came in 5th in our rankings. 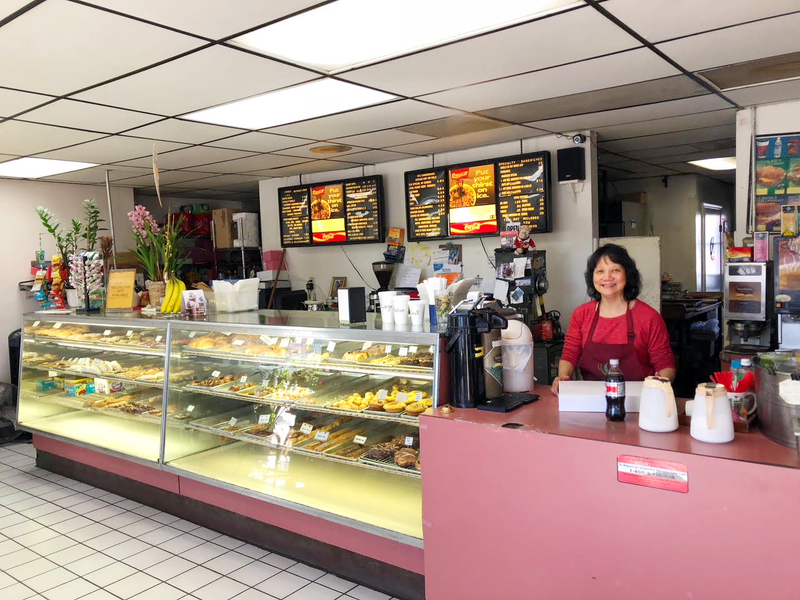 Check it out… The bakery was quaint and the owner was inviting. 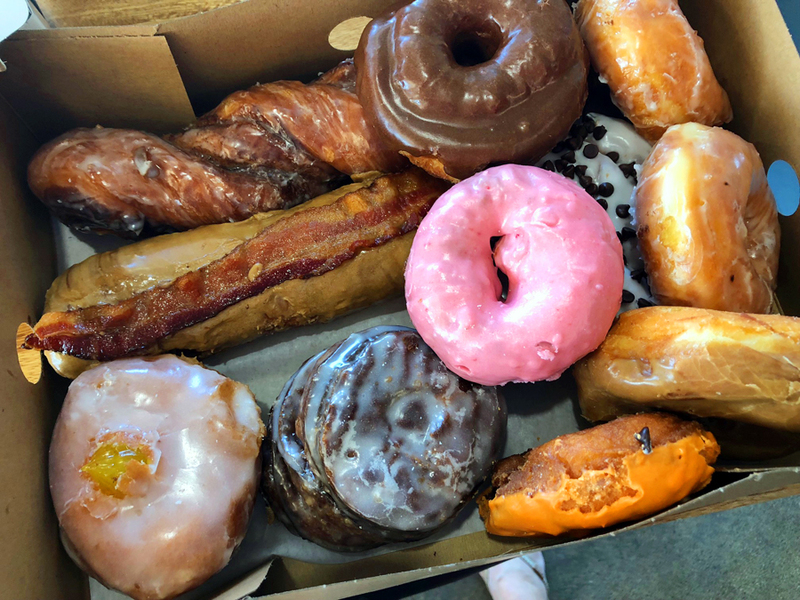 We got a dozen donuts and went town tasting them all. 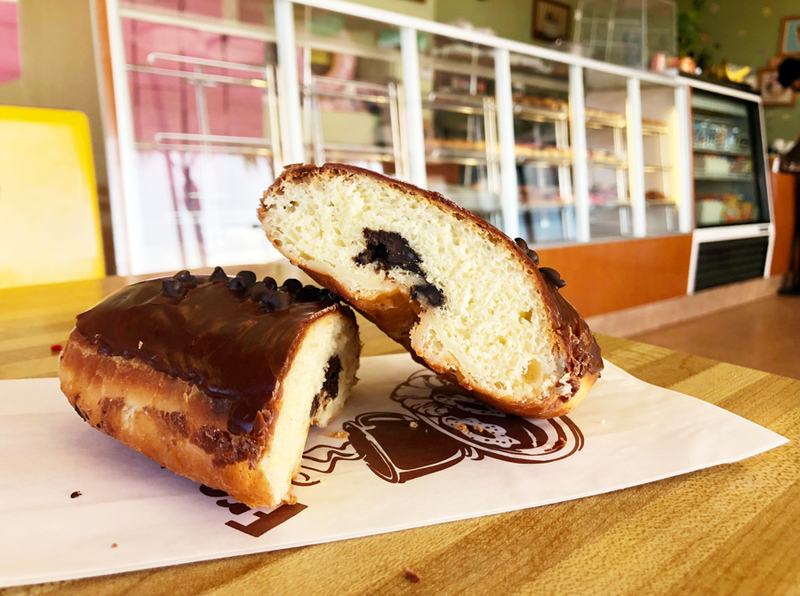 Their raised and cake donuts are more of a dense consistency, so if that’s your donut style this is the place for you. Mika’s favorite was the POKEBALL DONUT. If your kids are into Pokemon this is the place! These cute raised donuts are always on display. Now we had heard about this famous CHOCOLATE CHIP BAR from EVERYONE… check this thing out! This was AMAZING and definitely lived up to the hype! The fluffy cake mixed with the chocolate center and crunchy chocolate chip sprinkles was the perfect combo. When at Sweet O Donuts this is a MUST! Are you drooling yet? Milk please! 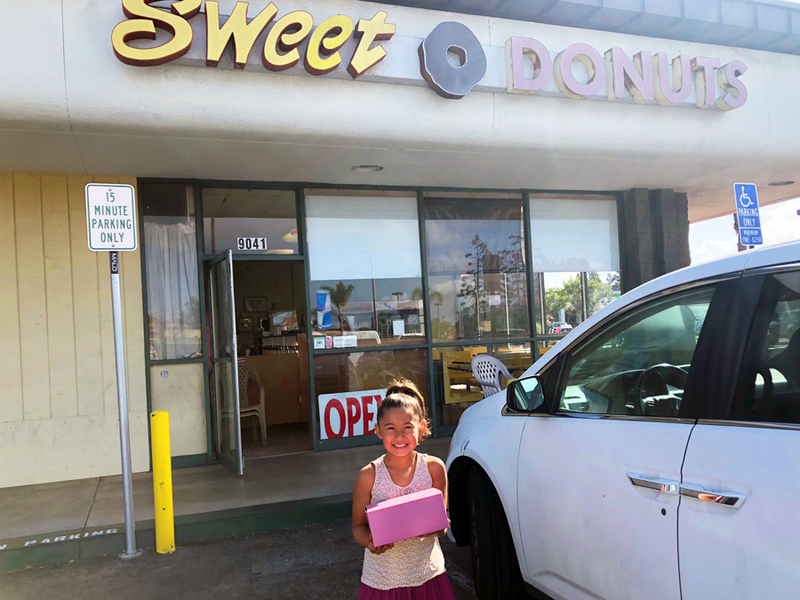 We loved Sweet O Donuts and so will you! 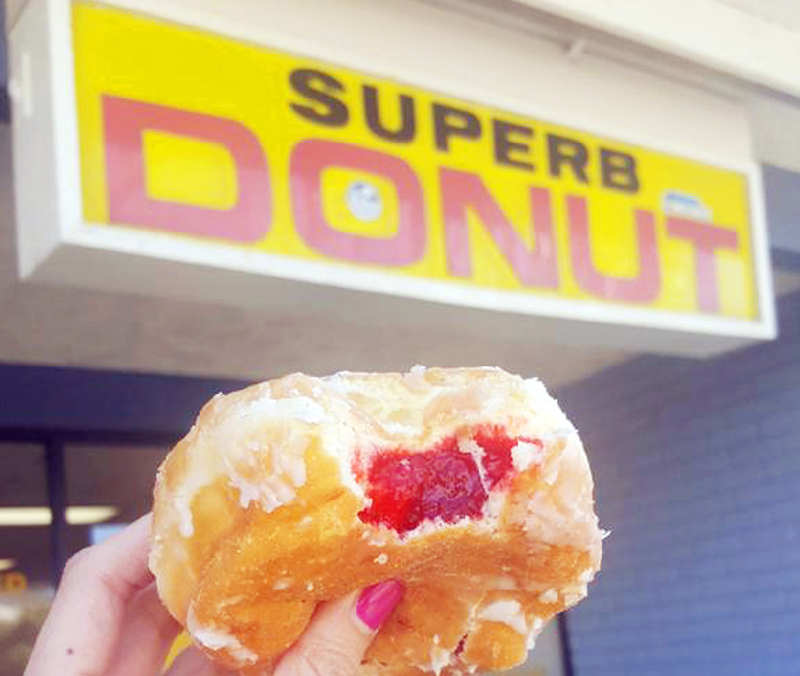 Coming in at #4 in the rankings is the ever popular SUPERB DONUT! This was definitely a FAN FAV we were excited to sample. If you want a place to grab donuts and coffee and walk to the beach this is your place. The location is amazing and right next to one of our TOP 5 MEXICAN FOOD RESTAURANTS linked HERE. 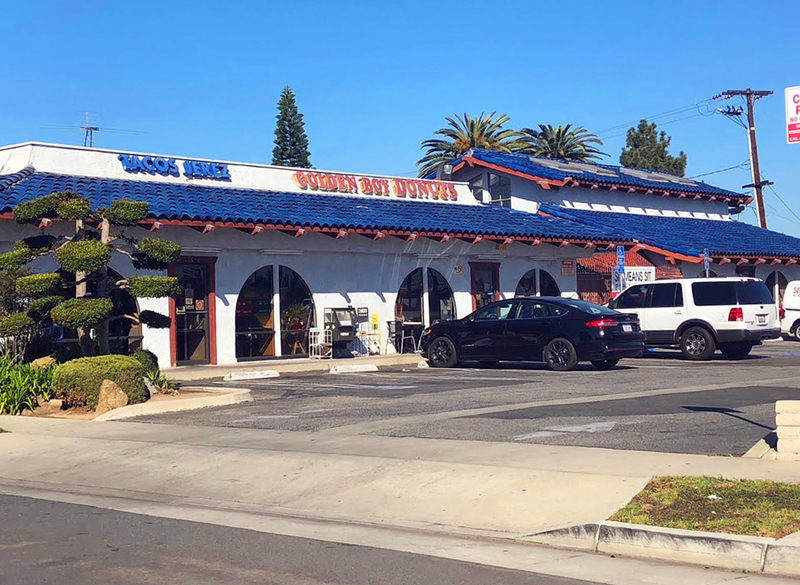 This little shop is full of surf city character, you will love the beach vibe and the sweet little ladies that work there. They will gladly pose for photo opps or selfies at any time as well serve you delicious boxes of goodness. 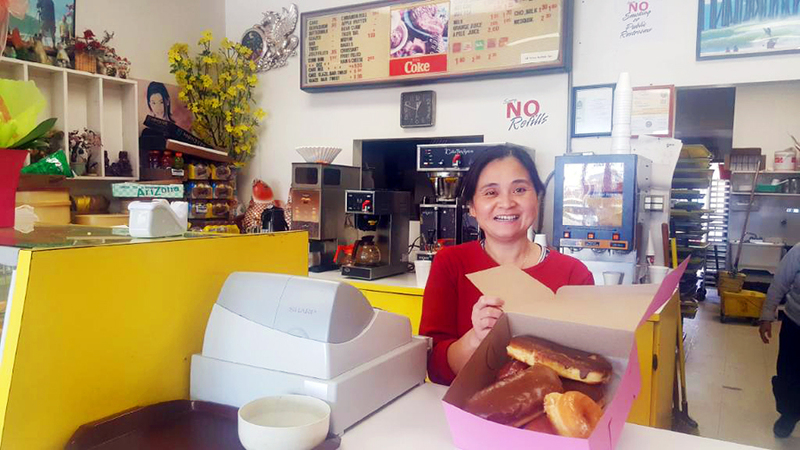 Superb Donuts saves the frills and serves you the best CLASSIC DONUTS. 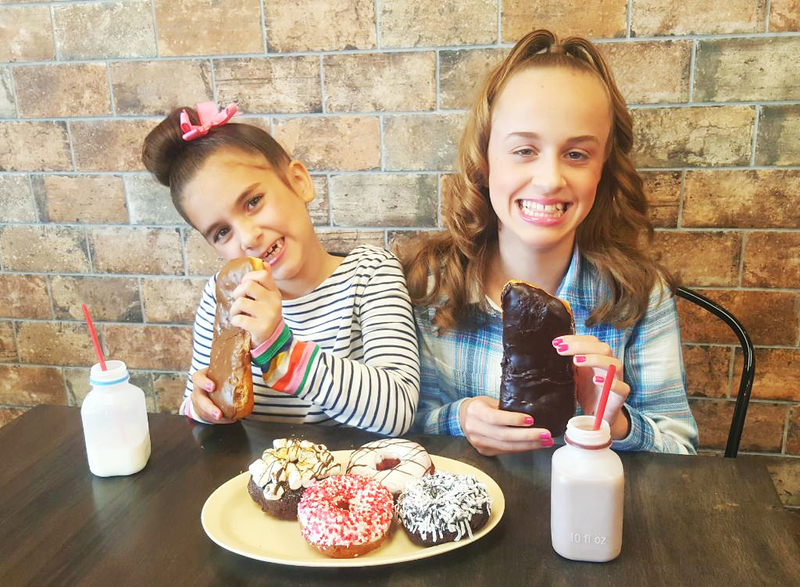 We loved the fluffy texture of the raised donuts and denseness of the cake donuts. The frosting was the perfect sweetness. 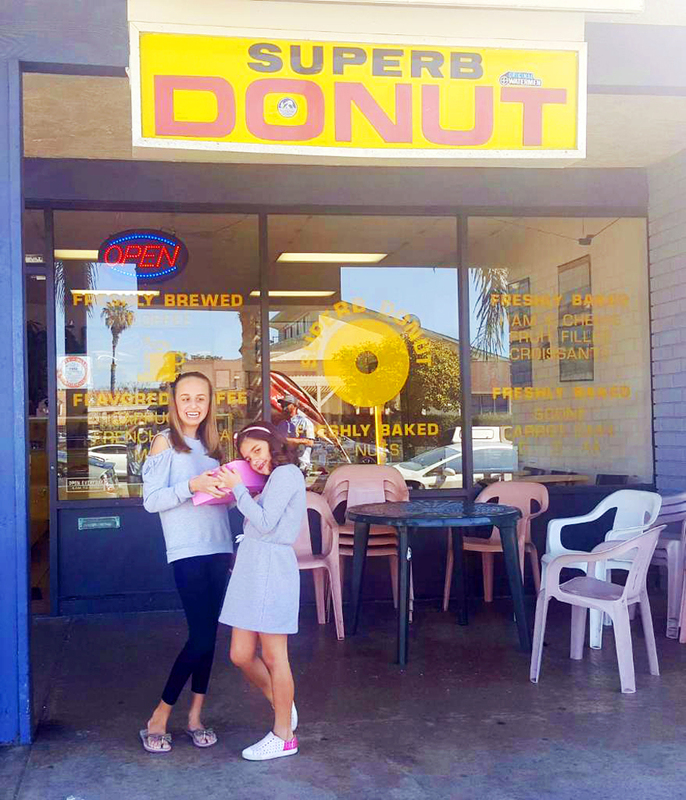 We loved the simplicity of Superb Donuts and they definitely nailed their CHOCOLATE AND MAPLE BARS which are their specialty! 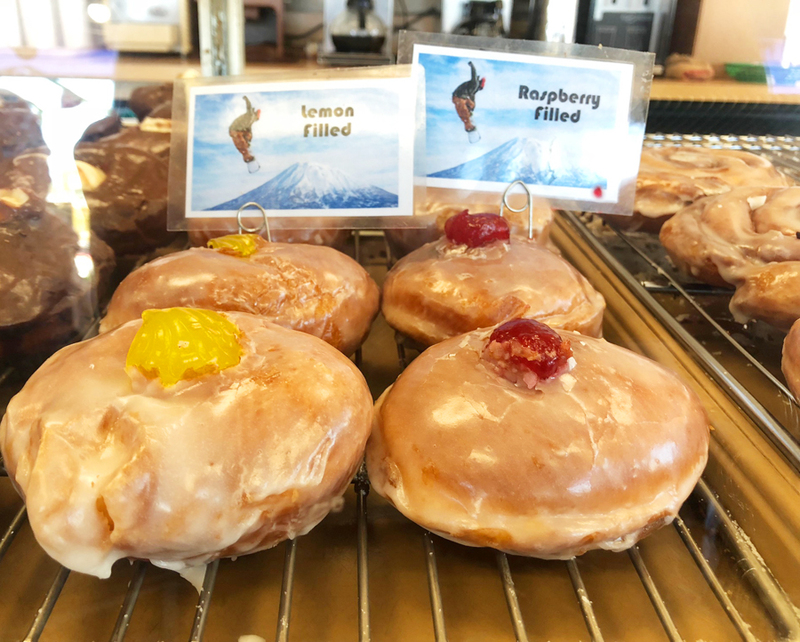 If you like jelly filled donuts for sure try the raspberry. They are generously filled for your jelly loving pleasure! Superb Donut is definitely SUPERB! 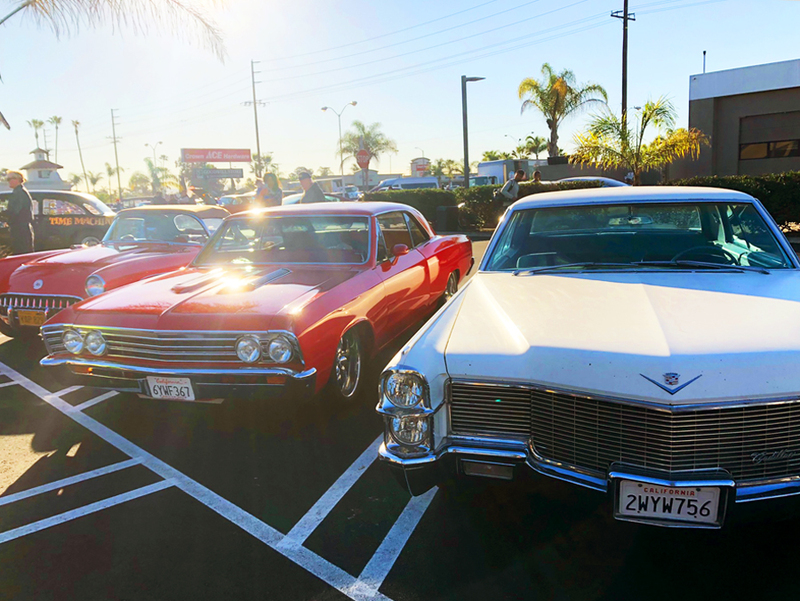 You might have miss this HIDDEN GEM while driving down Beach Blvd. 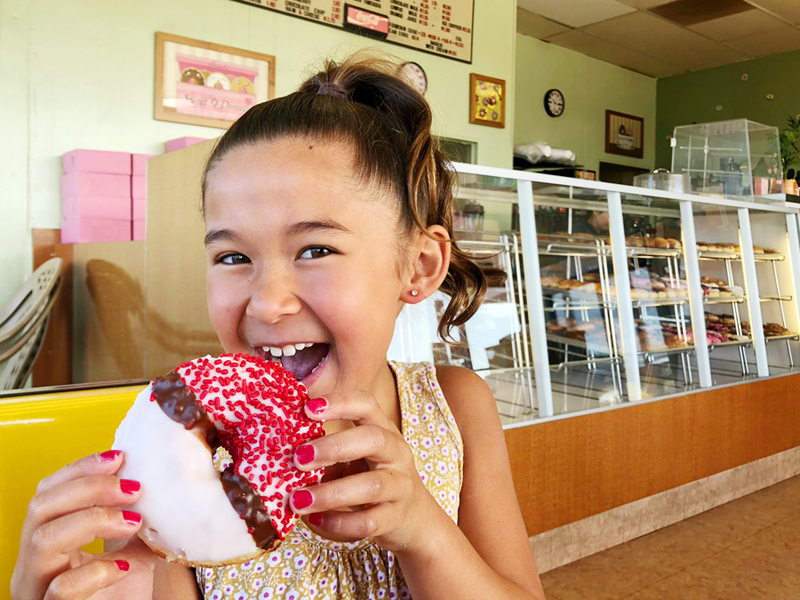 so we were pleasantly surprised when we discovered this new donut hot spot. 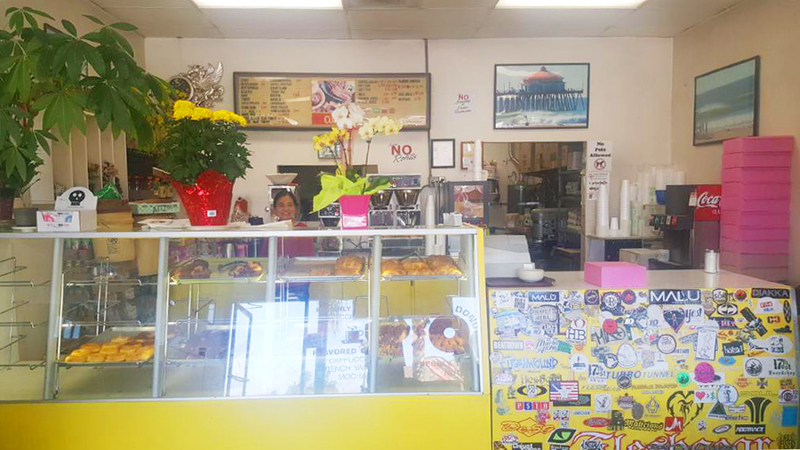 Golden Boy Donuts holds a solid #3 spot in our rankings. 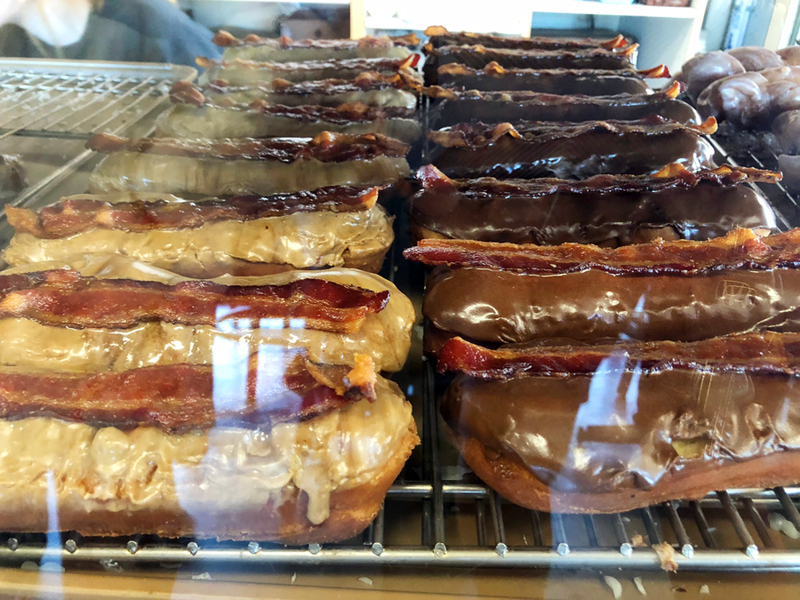 You might not of heard of Golden Boy Donuts, we hadn’t either, but their YELP reviews had us at “OUTSTANDING, GO-TO PLACE!” We had to visit and see what all the hype was about. 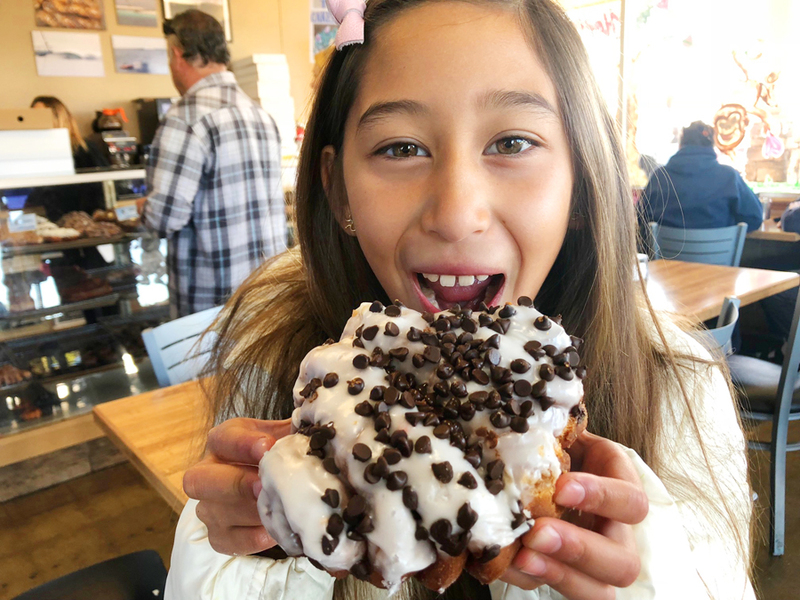 The first thing we noticed when searching for the perfect donuts to try was their FROSTING! Wholly Frosting! There was a lot of it. Out of all the places we had visited, we never had seen frosting like this. They serve their donuts with thick chunky frosting, not the thin glazed frosting that most donuts shops love. We had to try this out… This is the owner, she was so sweet and extremely adorable! You will have to tell her hi from us, because you will want to visit this place ASAP! 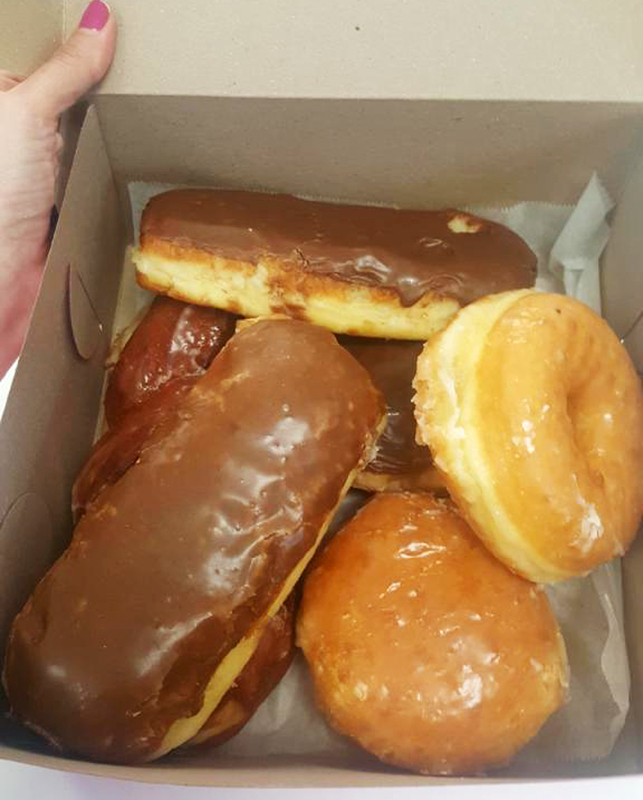 Here are a few of the donuts that caught our eye. 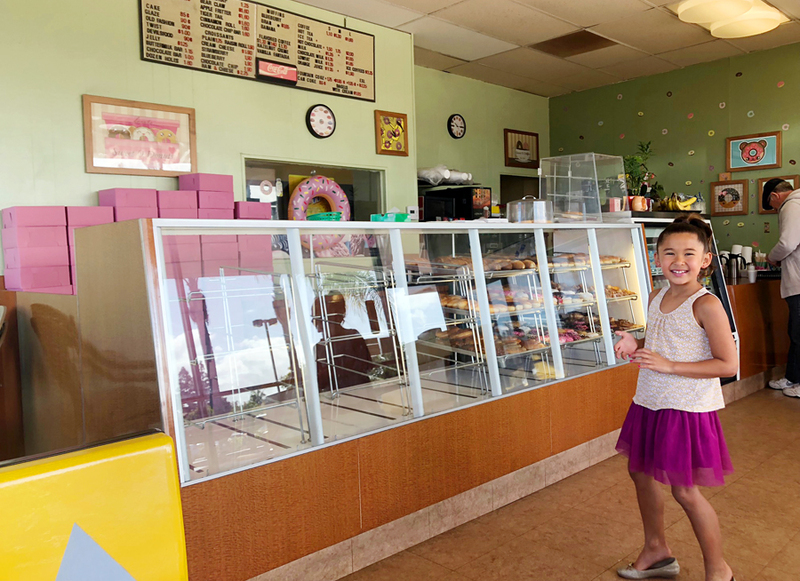 Check out the maple bar in the back… we are still dreaming of that thick mouthwatering maple frosting. 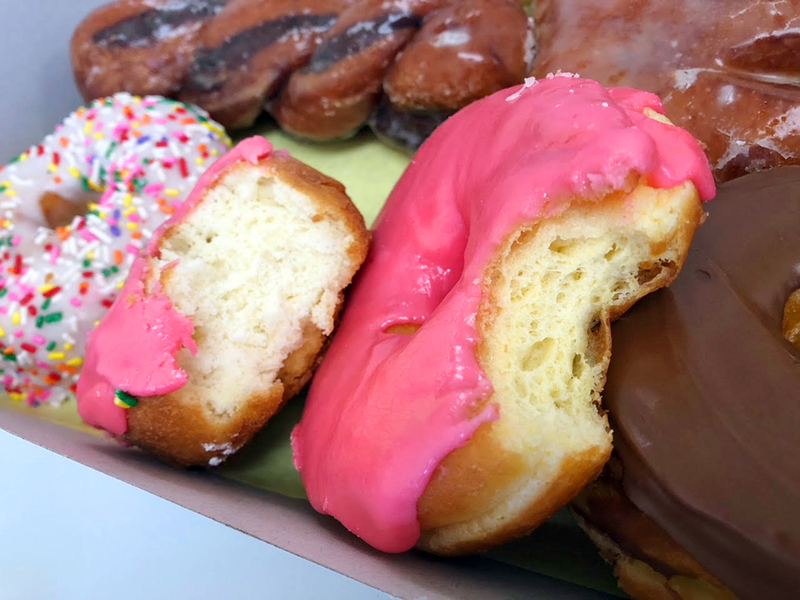 Here is a little side by side of their dense but light cake vs their fluffy raised PINK donuts. Again… that frosting was SWEET and amazing! If you aren’t into super sweet, this might not be the place for you, but for us it was heavenly goodness! 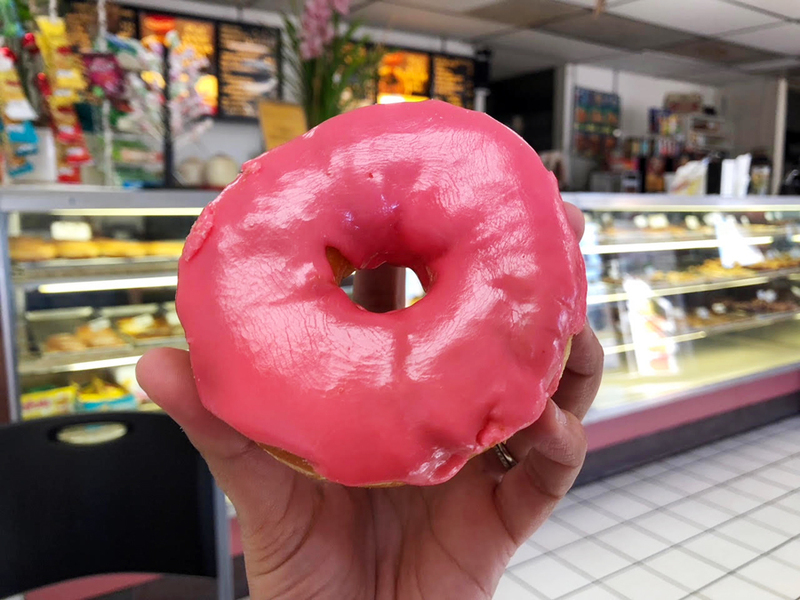 The raised pink donut was one of our favs, the color was as sweet as the taste. The donuts were the perfect amount of fluffy softness to compliment the sugar cookie like frosting. And the chocolate raised donuts were to die for. That chocolate frosting coated our mouths and we never wanted to wash it down. 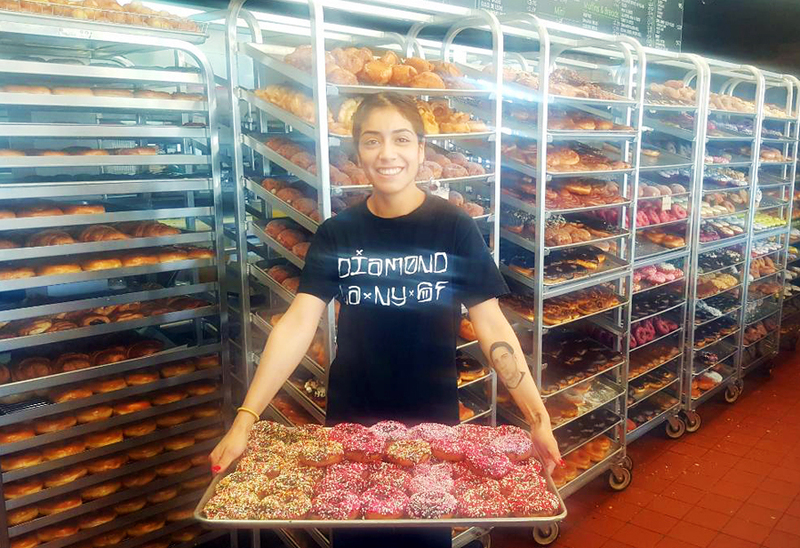 Perhaps the best thing of all is the Golden Boy Donuts offers CUSTOM DONUT ORDERS! All you have to do is call a day or 2 ahead and you can order any color combination you would like for just $12 a dozen (for rounds)! Think baby showers, birthdays, St. Patrick’s day, Valentines etc! How fun is this? Check out some custom orders below and be sure to give Golden Boy Donuts a try next time you are cruising Beach Blvd. 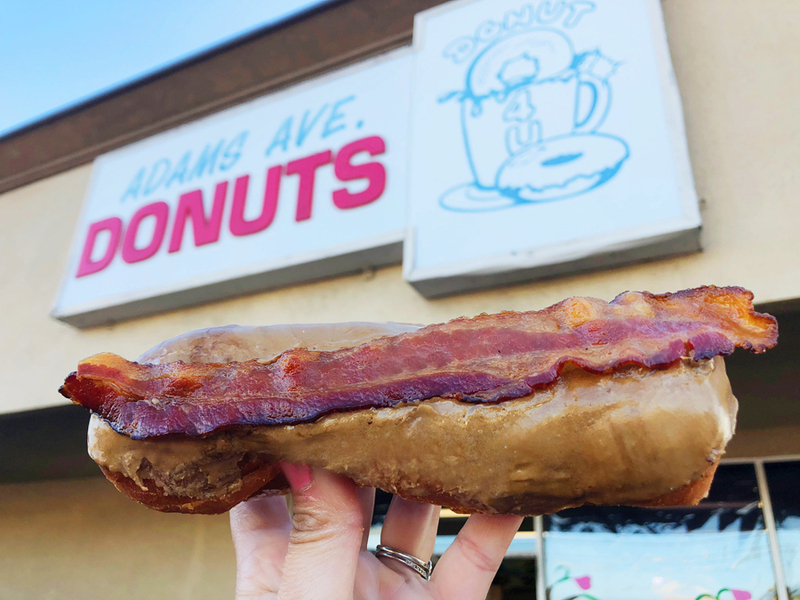 At the top of our fan polls was Adams Ave. Donuts! Everyone loves this place! 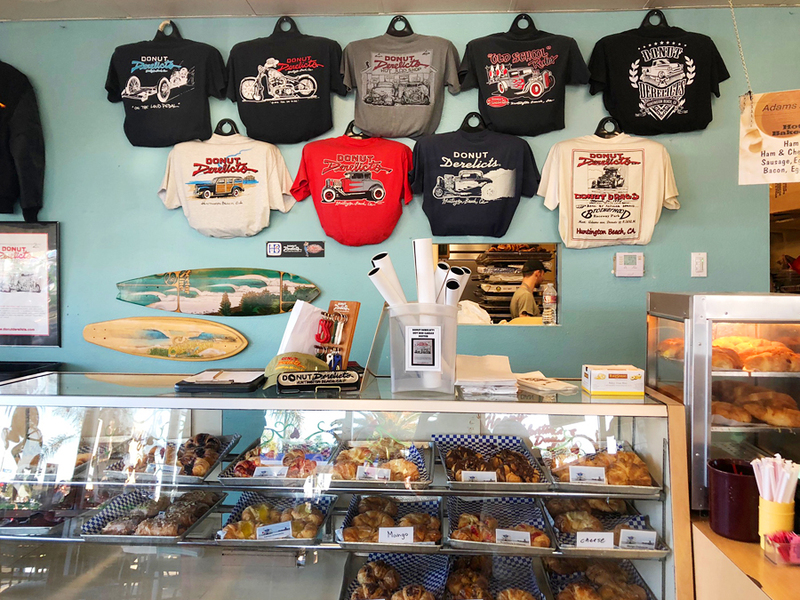 They are famous for many of their donuts as well as their long running (30 years) Saturday morning car show they call DONUT DERELICTS. 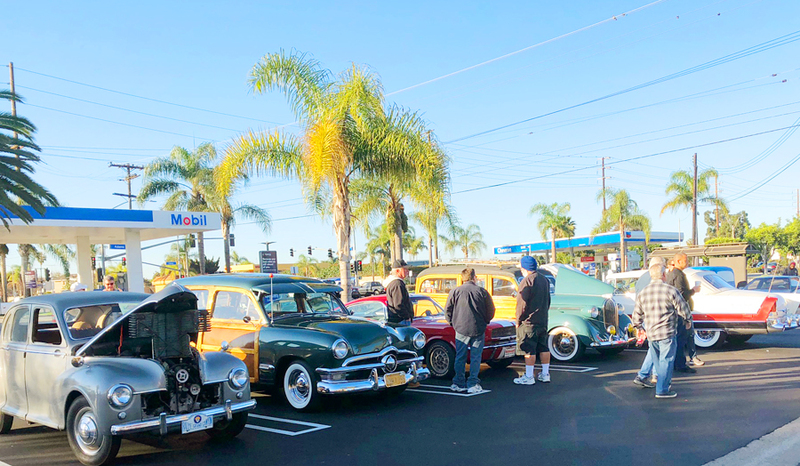 If you are looking for a new family tradition, come join the rest of Huntington Beach here Saturday morning to check out the amazing selection of Vintage cars and their proud owners while chomping down one of their mouth-watering delectable donuts. 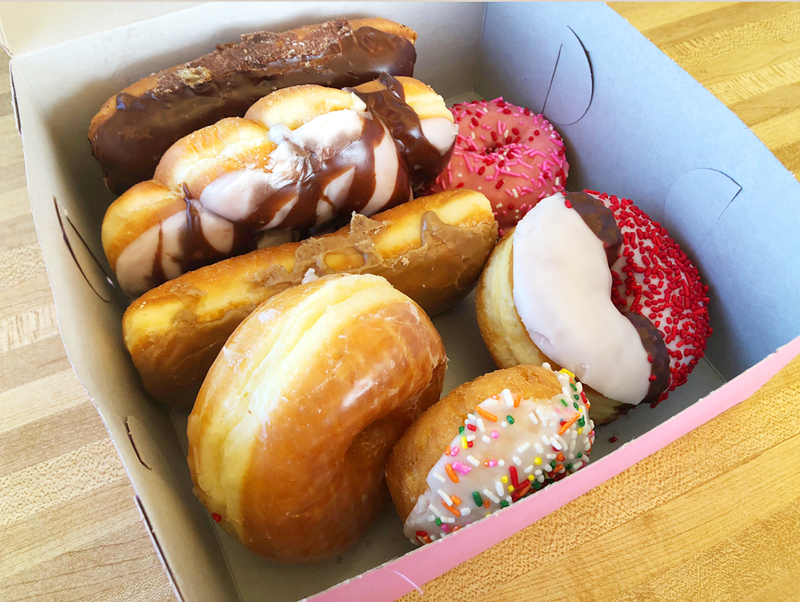 It was a VERY close call, but Adams Ave. Donuts is #2 in our ratings. 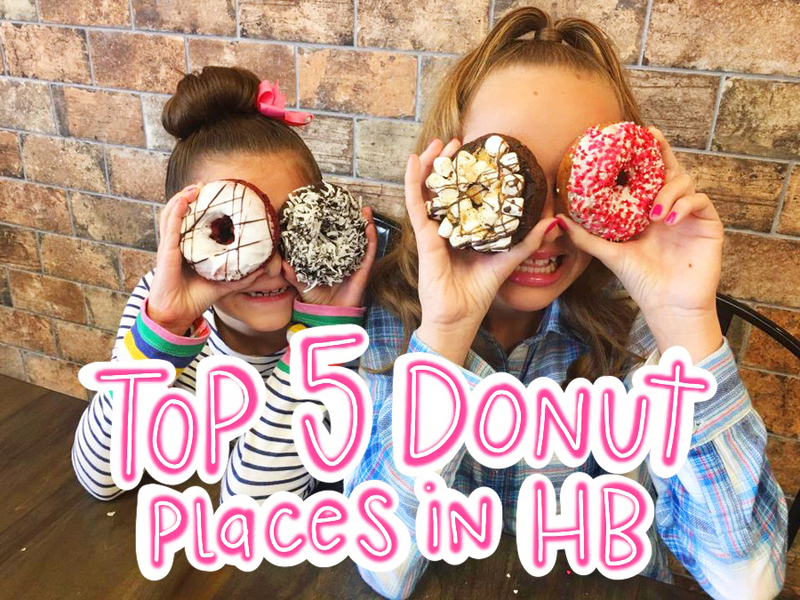 Coming in at #1 our all time family favorite DONUTTERY! Seriously you guys if you haven’t been here go! 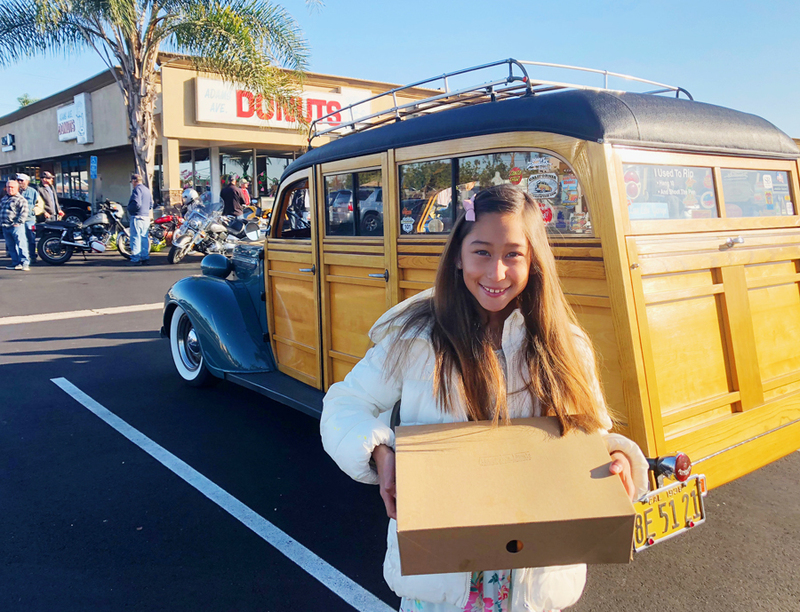 When keeping an open mind and trying new donut places nothing quit compared to our Saturday morning tradition of bring home the BEST DONUTS EVER!!! 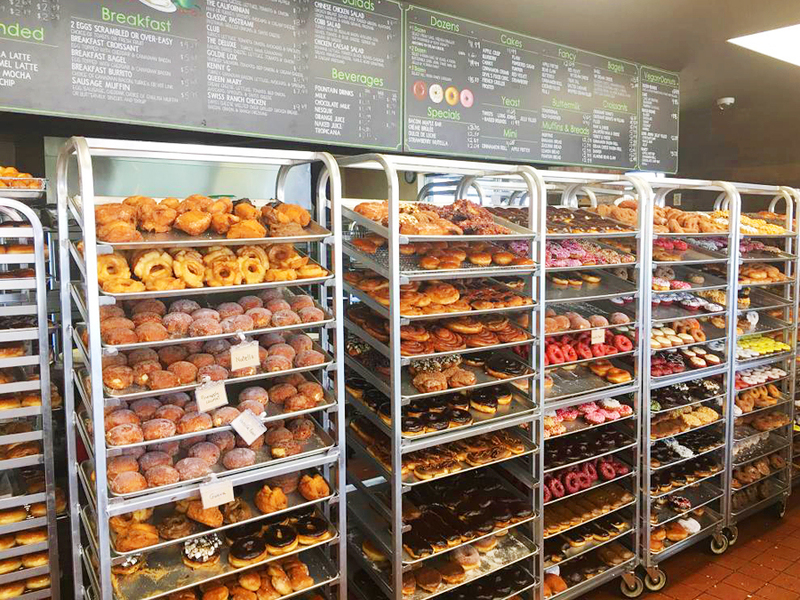 If you want a large selection of the freshest donuts in town look no further. You’ll need to make this your Saturday morning tradition as well to get through tasting all of this amazingness! We guarantee anything you pick you will love. And calling all you VEGANS and GLUTEN FREES out there… you can eat here too, with MANY MANY options! 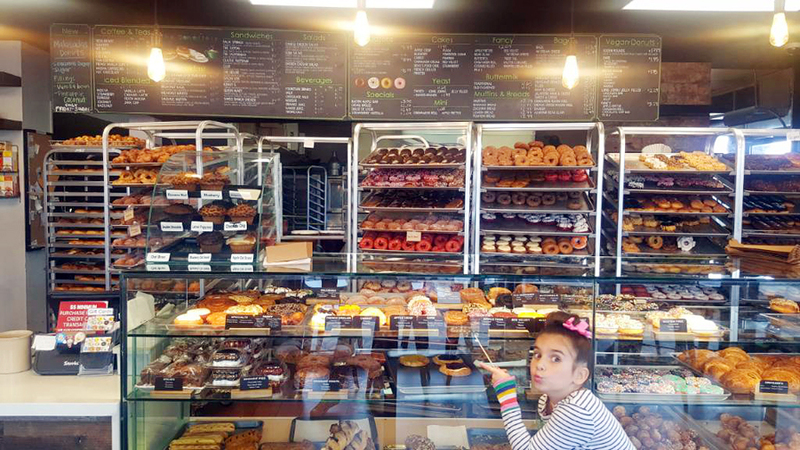 (The donuts in the front glass case are all for you!) 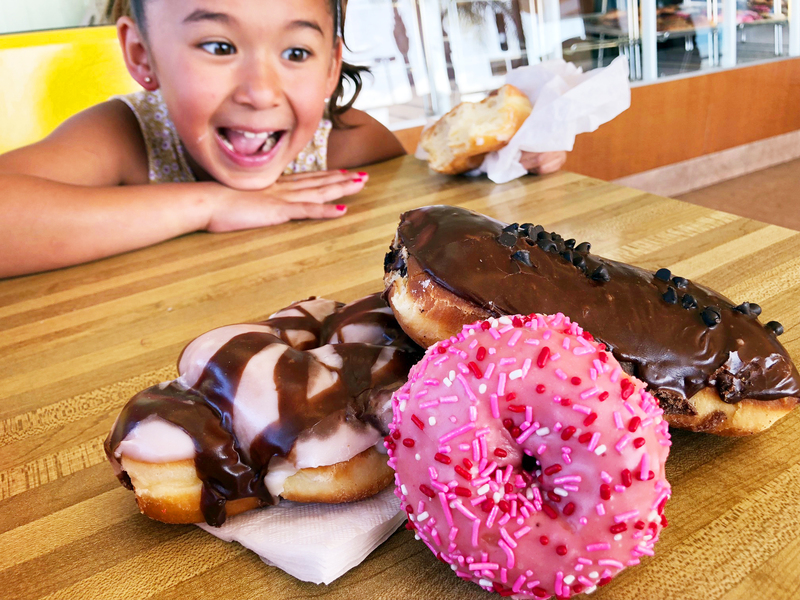 We still can’t believe how many donuts they have to offer! Check out this wall of deliciousness!!! How do they make so many donuts??? Sprinkles anyone? 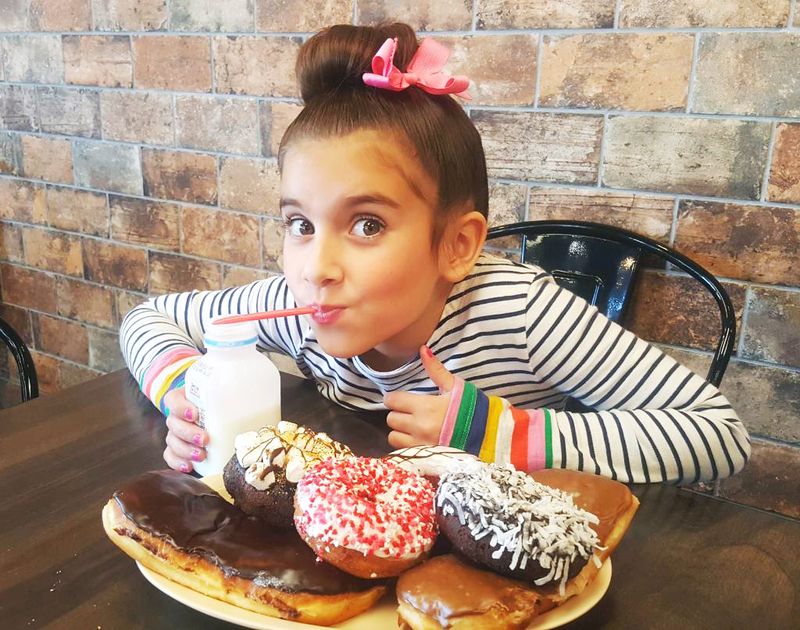 Because there are sprinkled donuts for days… Cake donuts, raised donuts, SMORES donuts, crunchy CREME BRULEE donuts, CRONUTS, Red Velvet, OREO, PB and J, Carrot Cake donuts, Devils Food, Bacon Bars, MARBLE (Michelle’s fav) and the fruitiest tasting BLUEBERRY and strawberry donuts you’ve ever tasted and much much more! This place has it all and coming fresh out of the fryer hourly! 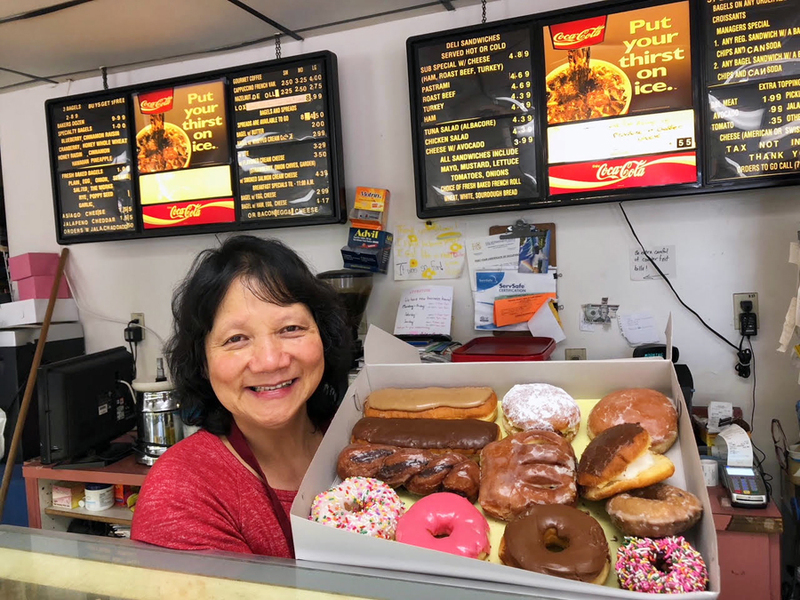 Donuttery is one of the only donut shops that continuously bakes donuts 24 hours a day so you will always have a fresh donut. 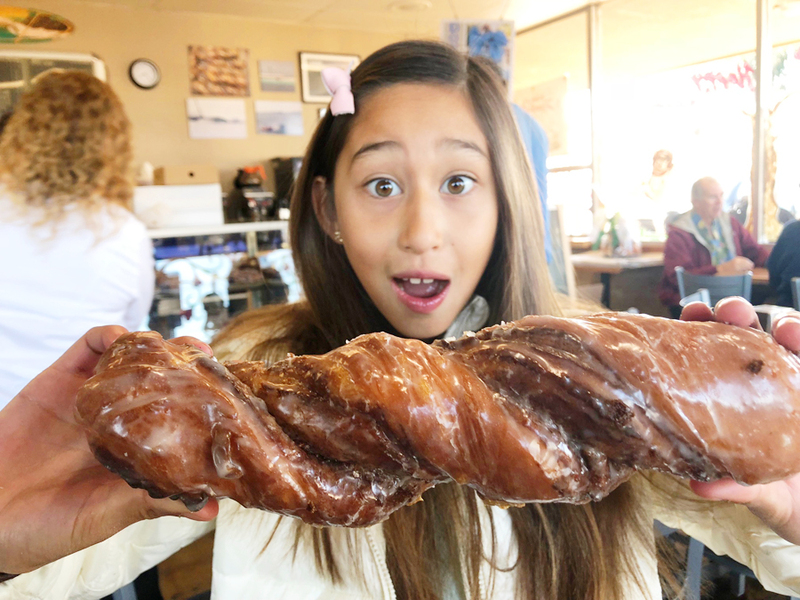 Their raised donuts are the lightest, airiest most fluffy donuts out of all the donut shops which is another reason Donuttery is the best! 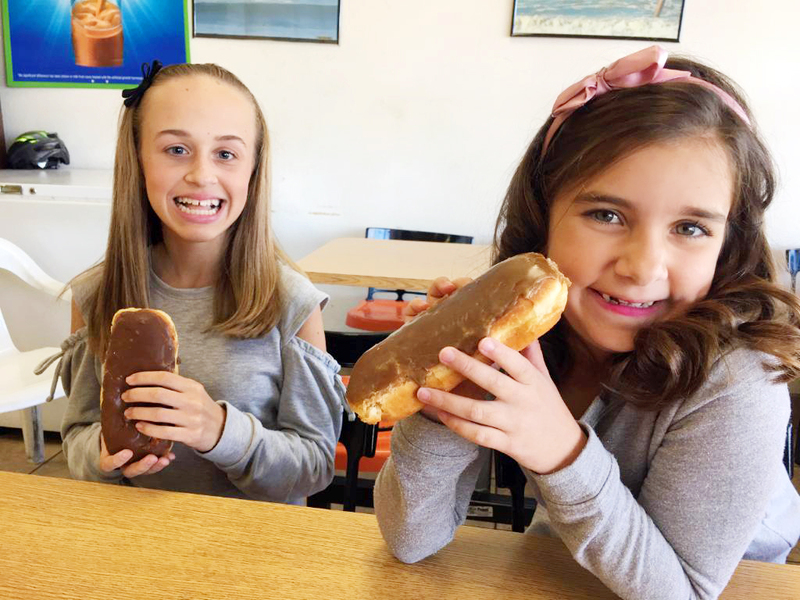 Charlotte and Kate have tried every donut here but love their maple and chocolate bars the most! 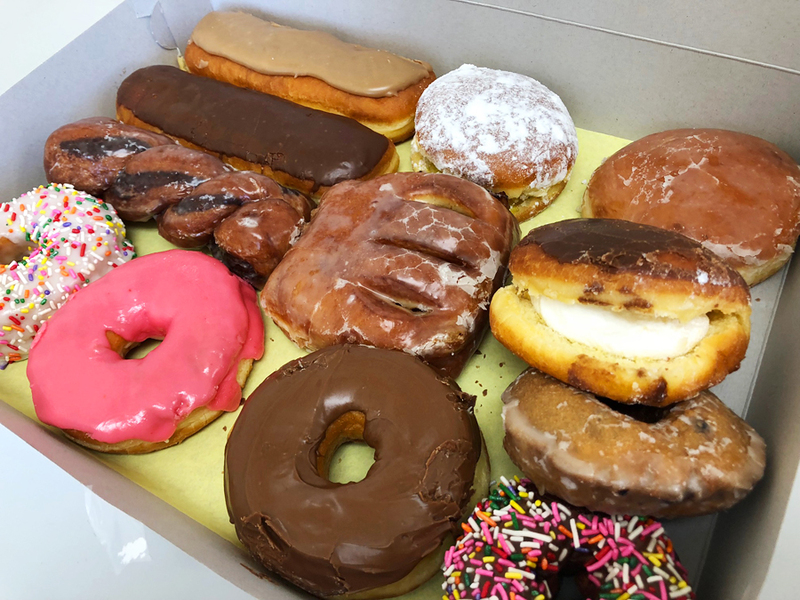 CONGRATULATIONS DONUTTERY for being #1 in our books and THANK YOU for working around the clock so we can binge on your delish donuts whenever we want! We hope you LOVE our choices. Be sure to rate them for yourself and LET US KNOW WHAT YOU THINK IN THE COMMENTS SECTION of this post! We’d love to hear your thoughts. GIVEAWAY TIME! 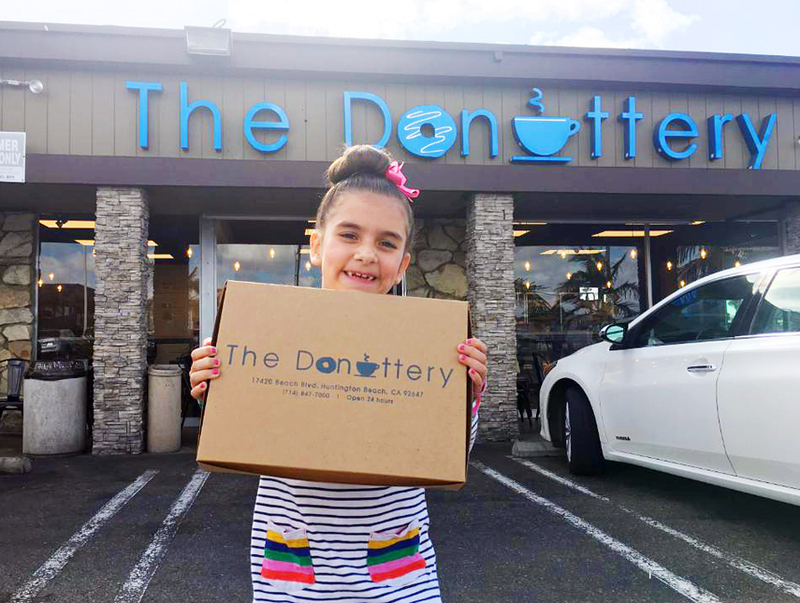 WIN A DOZEN DONUTS FROM DONUTTERY!! TO ENTER IS SIMPLE. 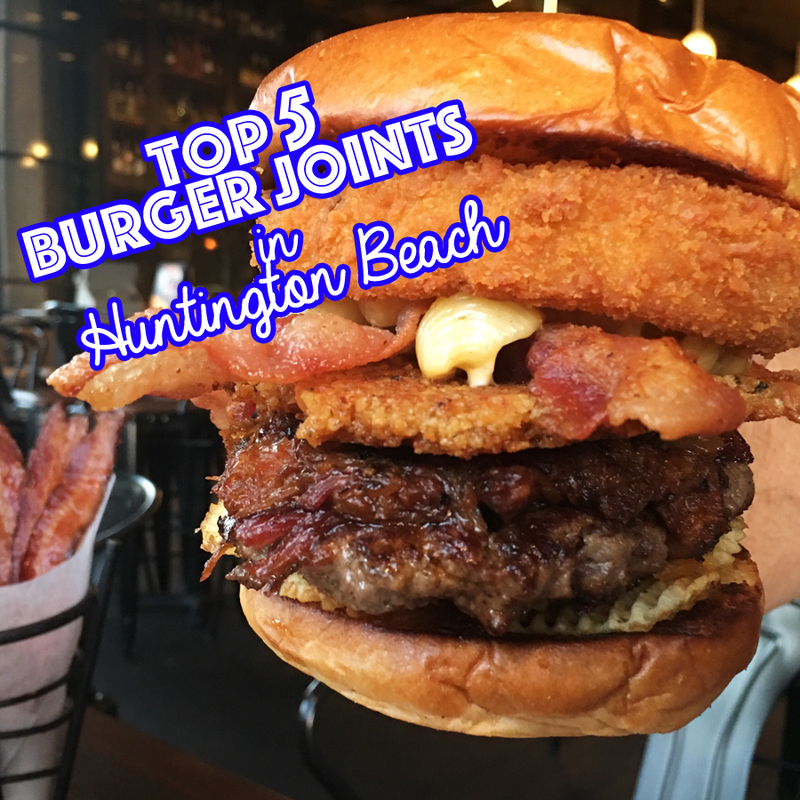 All you have to do is head our INSTAGRAM @WHENINHUNTINGTON, like us and Donuttery, then tag your friends for as many entries as you want! ALL THE DETAILS ARE ON INSTAGRAM. GOODLUCK TO YOU ALL! Life can’t be sweeter! 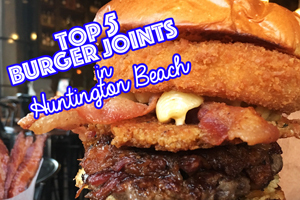 For More of our Huntington Beach Top 5’s click on the images below! « DIY VALENTINES PHOTO BOOTH PARTY! 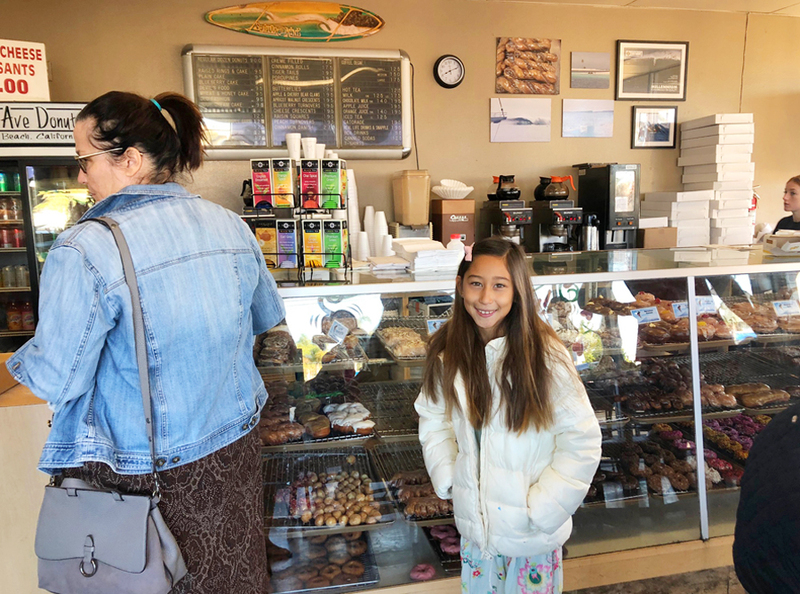 Nice reviews on the donuts shops in Huntington Beach. Grammar and spelling needs to be checked before posting. I noticed many commas missing and words misspelled, FYI. I bet you feel real good about yourself being the grammar police on an informative blog. Go back to high school. 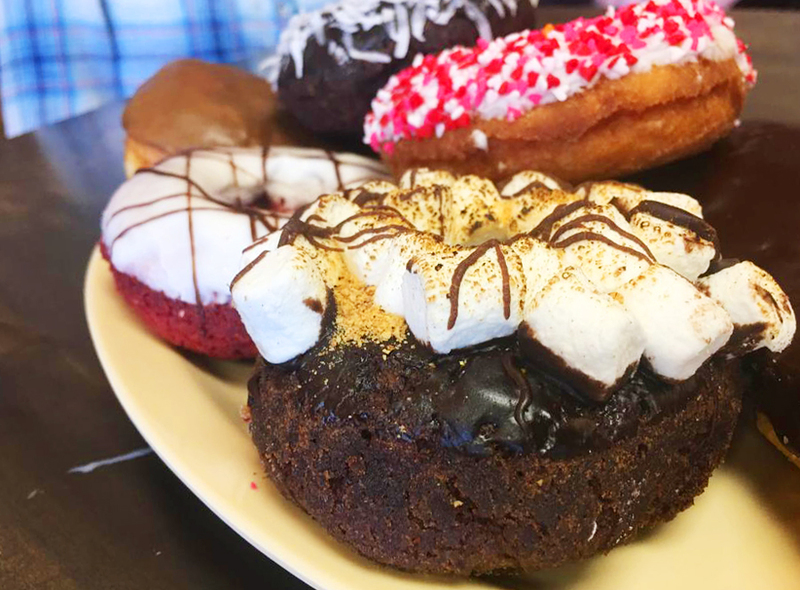 My favorite is the s’mores donut from donuttery! We will have to try the Gluten Free next time! Golden Boy is good! Get the pink donut 💕!